I can't even begin to describe how amazing it was. 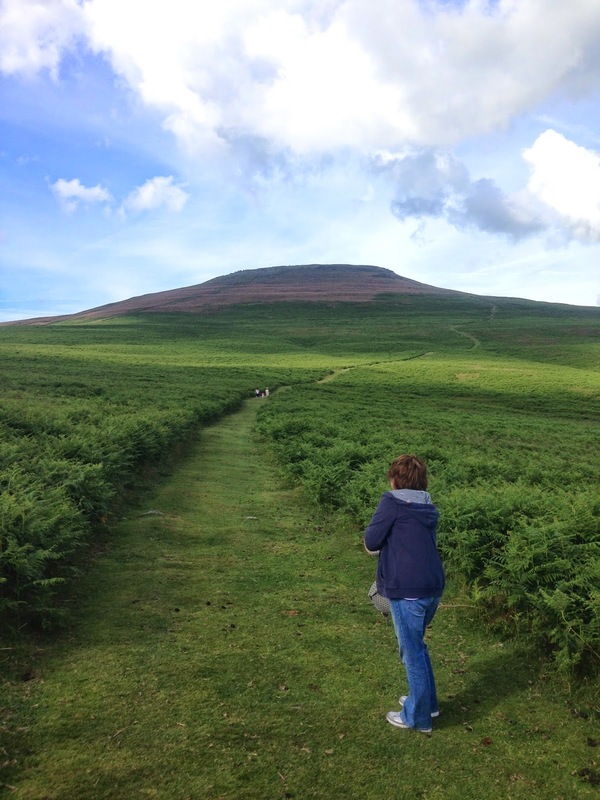 The last time I was in Wales was on a school trip in the nearby Brecon Beacons. It poured with rain and we had to stay in a really grim hostel. So my memories of this country were not fond or pleasant to recall. I don't think we stopped laughing from the minute we got off the train. Two of us were going to stay with another friend. 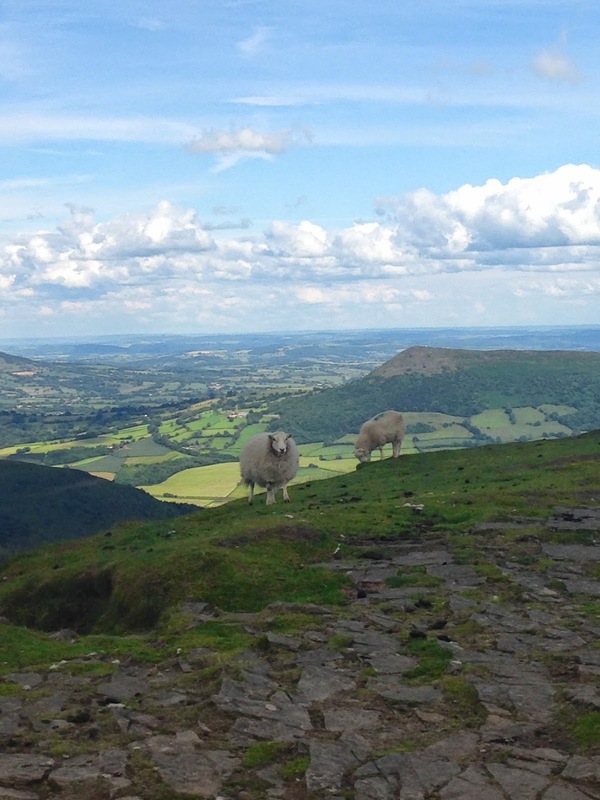 We ate delicious food, slept in super comfy beds and walked cup the Sugar Loaf, which is a mountain near Abergavenny. The sun shone too and even the clouds were beautiful. Note the Mulberry handbag..! We laughed at the sight of me clutching it as we walked up - Well I wasn't going to leave it in the car..! Standing at the top of Sugar Loaf Mountain in sunny Wales. 360 degree views. This is the dream. We walked back down the mountain and rewarded ourselves with tea and cake to mark our achievement. Next mission: Pen Y Fann or even Snowdon..! By the end of the weekend, it wasn't my legs and feet that hurt from all the walking as I am quite used to that, it was my sides that hurt from non stop laughing. All in all, the very best of weekends and I am already looking forward to the next..! *Speaking of the Sound of Music, we are in the midst of a terrific thunder storm at the moment. Pouring rain - the lightening is talking to the thunder and the thunder is answering back. I anticipate that Ella will burst in at any moment as Gretl Von Trapp. I secretly hope she does so that we can sing "Raindrops on roses" and then I really can be Maria.